Container technology is the future of secure mobile communications on smartphones and tablets. Your staff will want to access work tools from their mobile devices. The use of mobile devices and Bring Your Own Device (BYOD) are on the rise — both in companies and the public sector. But how can you ensure that access to corporate data and applications from smartphones and tablets is simple yet secure? Mobile Device Management (MDM) or Mobile Application Management (MAM) are not the solutions of the future. Managing apps or terminal devices alone does not provide reliable security. 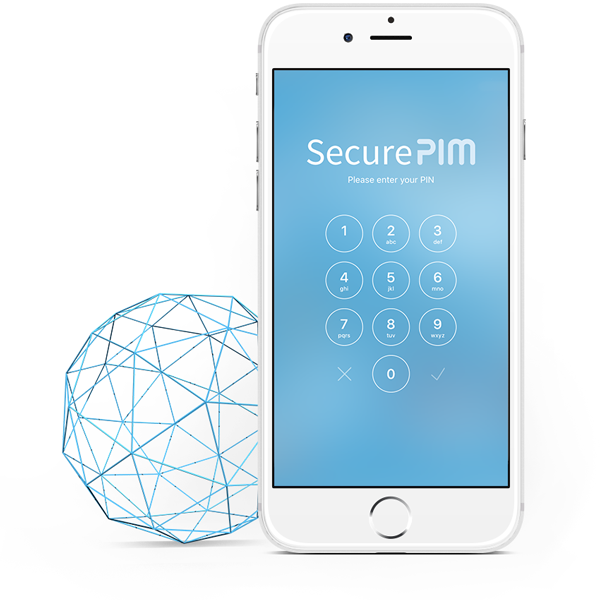 The future belongs to our SecurePIM Container app. Corporate applications and data are located in a separate area (the Container) on a smartphone or tablet. Sensitive data sent from or received by the device is efficiently monitored and cannot be manipulated. No further security measures are needed.